Bricks coupons are the most printed online coupons and the easiest way to build your coupon stash. One of the questions I commonly get is about Bricks coupons, or printable coupons found on a website that are not actually on Coupons.com These are coupons that a manufacturer wants you to visit their site to print, and does not want included in the 200 that are available directly on Coupons.com. Coupons.com provides products and services utilizing our core coupon technology. Our their secure technology gives clients tight control over the number of coupons distributed, which helps to limit redemption. One of the reasons these exist is for the control of the distributions. It makes good sense that a vendor would want to count the number of coupons being issued. All limits are device based. The limit works per device, like your computer. You can print two per computer. These limits are enforced for the entire coupons.com network. Before consumers print their first coupon from the systems, they must install the Coupon Printer, an industry-standard browser plug-in. Unlike cookie-based controls, removing and reinstalling the Coupon Printer does not affect its security settings. 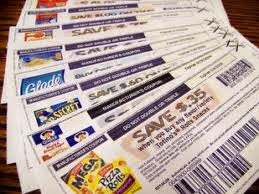 Moreover, a coupon never appears on the consumer's screen. Instead, it is sent directly to their printer, to prevent duplication of the coupon. The Coupon Printer also provides each coupon with barcodes that can be scanned at the point of sale. There is no way to print coupons without the plug in being downloaded to your computer. It’s the essential part of the counting process. Each printed coupon carries a unique ID that is encrypted in a 2-D PDF417 barcode, enabling each coupon to be traced from print to redemption. All Coupons.com Incorporated coupons can be authenticated using this unique code. This unique ID also can be used to detect counterfeit or altered coupons. Cashiers are often looking at these codes when reviewing your coupon just to be sure they are not duplicated or altered in any way. This will let you know before you click on the link that it is direct, and that you should always click the link twice and print your limit of coupons. Once a coupon has reached it’s limited exposure, it will expire. Often new users will think a coupon “Will always be there to print” or “I can print it tomorrow from work” and that is not the case. Many times a Hot coupon will reach it’s limit within hours of being available online.